Η εκδήλωση πραγματοποιήθηκε στα Αγγλικά την Παρασκευή 11 Νοεμβρίου 2016 και ώρα 9:30-12:30 στο ξενοδοχείο Electa Palace (Ναυάρχου Νικοδήμου 18, Αθήνα). “Crossing the Mediterranean by Boat: Mapping and Documenting Migratory Journeys and Experiences” is a research project that assesses the impact of policy on those that it affects most directly: refugees and migrants themselves. 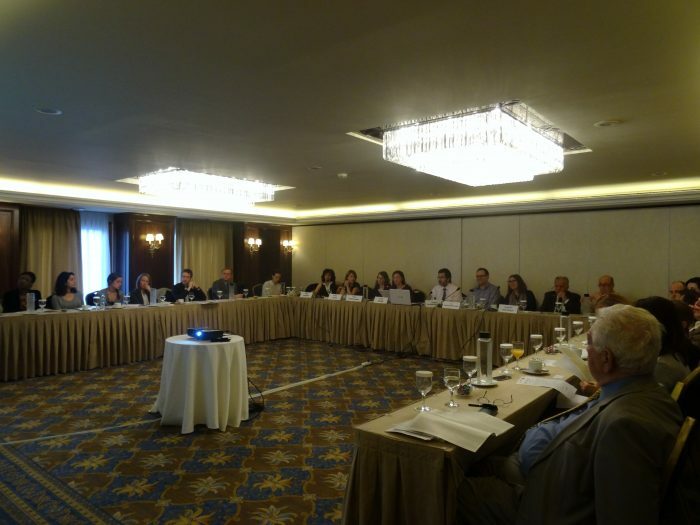 This event will present initial findings from the second phase of the project, which is based on 120 in-depth qualitative interviews carried out during May-June 2016 in Athens, Berlin, Istanbul and Rome. Critical insights will be provided by project researchers on the journeys and experiences of people moving via the Central and Eastern routes, including those affected by the EU-Turkey Deal and by border security operations off the Libyan coast.